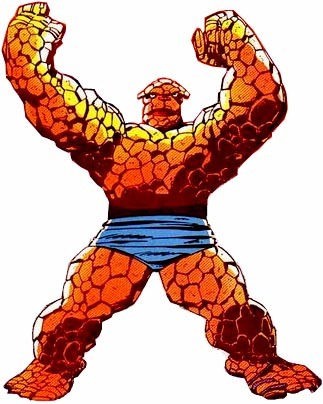 First Appearance: The Fantastic Four (vol. 1) #15 (June 1963): "The Fantastic Four Battle the Mad Thinker and His Awesome Android!" First Appearance (Additional Details): (mentioned) The Fantastic Four (vol. 1) #6 (Sep. 1962): "Captives of the Deadly Duo! 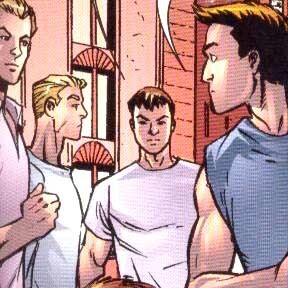 "; (full) The Fantastic Four (vol. 1) #15 (June 1963): "The Fantastic Four Battle the Mad Thinker and His Awesome Android!" Marvel Graphic Novel #29 (Aug. 1974): "The Big Change"
Marvel Two-in-One (vol. 1) #6 (Nov. 1974): "Death-Song of Destiny!"